Seed treatments go beyond just seed protection, and no one understands that better than Syngenta Seedcare. 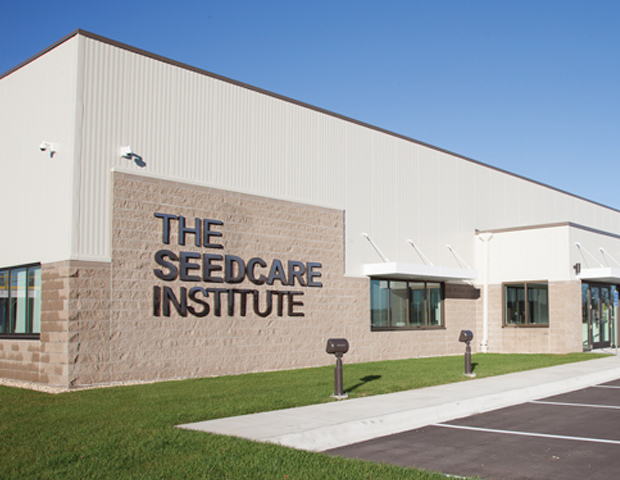 With several locations of The Seedcare Institute™ Network across the globe, we are able to consistently deliver new tools to help you maximize the potential of your business. Our focus is to bring to market new treatments and technologies with the highest quality agronomics to help support the relationship you’ve built with your customers. This customizable Syngenta Seedcare portal is designed for your needs. We’ve assembled important information in a one-stop site, giving you 24/7 access to the training materials, tools and resources that will help keep your operation running smoothly. Register or log in to create and access your personalized dashboard, containing the recipes you’ve developed for your customers and more. 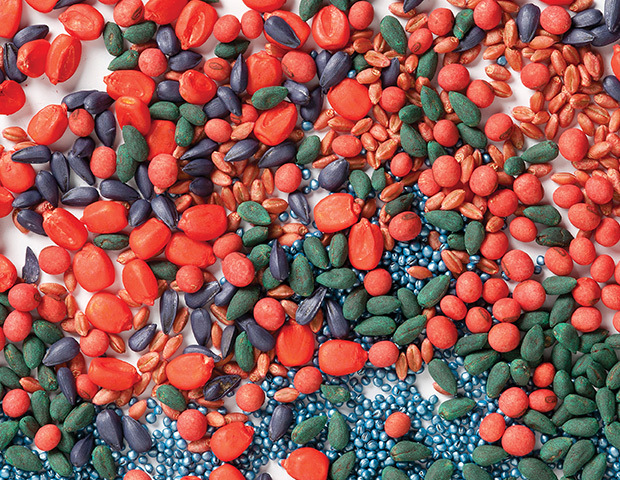 Seed varieties and hybrids today come equipped with a broad spectrum of traits that give undisputed advantages to growers’ yields. Growers invest significantly in these technologies, and this high-value investment should be protected from damaging pests and environmental stress. To address these challenges, Syngenta Seedcare offers an industry-leading product portfolio based on its world-class research, product development and support capabilities. We call this 3-pillar offer P.A.S. (Products – Application – Services). Each pillar allows us to deliver the innovation and support you need, with the confidence that it’s developed from the best technology available. We hold our innovation with integrity as the backbone of our business of serving you. Offers best-in-class insect protection and delivers systemic root protection against certain seedborne, soilborne and foliar diseases. Helps crops establish stronger, more vigorous roots in addition to protection from certain early-season insects and diseases. Offers triple pest protection against nematodes, insects and diseases, as well as enhanced root health. At The Seedcare Institute, we’re not content with keeping our vast knowledge to ourselves. The Seedcare Institute Network exists to be a 2-way vehicle to exchange expertise and learning about our seed treatment technology with our customers. We want to share our knowledge to help you address your specific challenges, and we greatly value the insights that are gained through the process. With North American locations in Canada, Mexico and the U.S., collaboration is easier than ever. Let The Seedcare Institute help you differentiate and optimize your customers’ experience. Stewardship is fundamental to sustainable agriculture, and it all starts with the right information. Carroll Moseley and Andreas Leuenberger of Syngenta share insights on label information, personal protective equipment, stewardship/application procedures, and the future goals of the industry in this realm. Syngenta announced the registration of Vibrance® Trio seed treatment by the U.S. Environmental Protection Agency. The premix of 3 fungicide active ingredients – mefenoxam, fludioxonil and sedaxane – is recommended for soybean growers whose main early-season concerns are strong stands and disease protection. Vibrance® Cinco fungicide seed treatment from Syngenta received registration approval from the U.S. Environmental Protection Agency. Vibrance Trio is recommended for use on corn to guard against the most damaging seedborne and soilborne diseases, including Pythium, Rhizoctonia and Fusarium. The Seedcare Institute™ interviewed Chad Vest, Syngenta Seedcare specialist manager. Vest shares what makes treating soybeans complicated, including the different stages of soybean treatment. He also discusses the evolution of atomization and how treaters and farmers tackle various challenges.